Pampanga Rep. Gloria Macapagal-Arroyo slammed former justice secretary and now Sen. Leila de Lima for issuing hold departure order against her and her husband Mike Arroyo unconstitutional. The order issued by then Justice Sec. 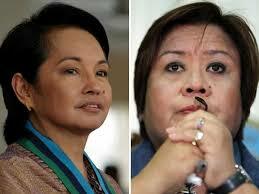 De Lima prevented them from travelling abroad is invalid and irrationally hostile. According to GMA's lawyer Lawrence Arroyo, violates his clients right to travel mentioned to medical treatment. In a ruling, the Supreme Court declared unconstitutional Department of Justice (DOJ) Circular 41, and voided the justice secretary’s authority to issue hold departure orders “for being violative of the right to travel.